Winner of an open architectural competition to design a development at the gateway to Govan town centre. 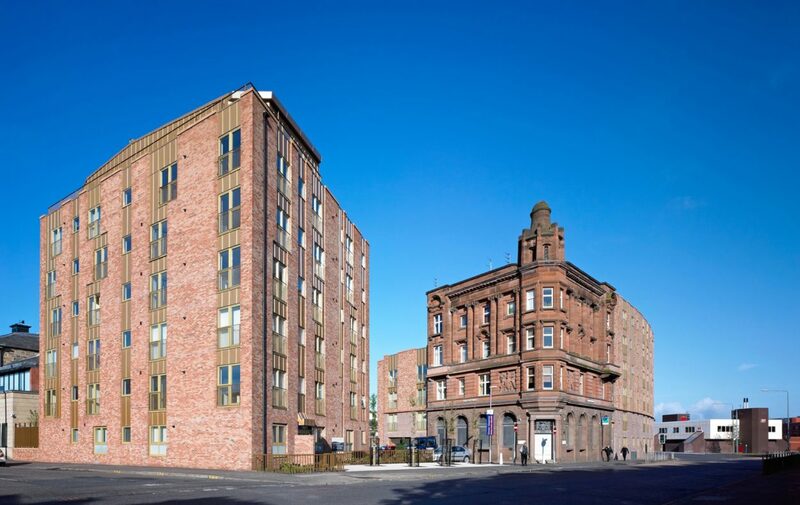 The site is one of several projects forming part of an overall regeneration works to the Govan area. 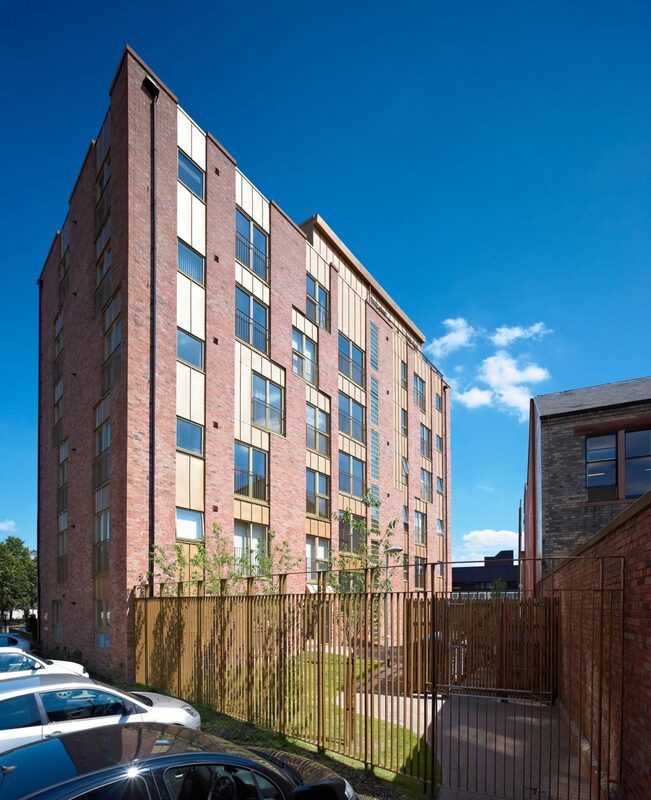 The site wraps around an existing tenement building, affectionately known as the ‘Potted Heid’. 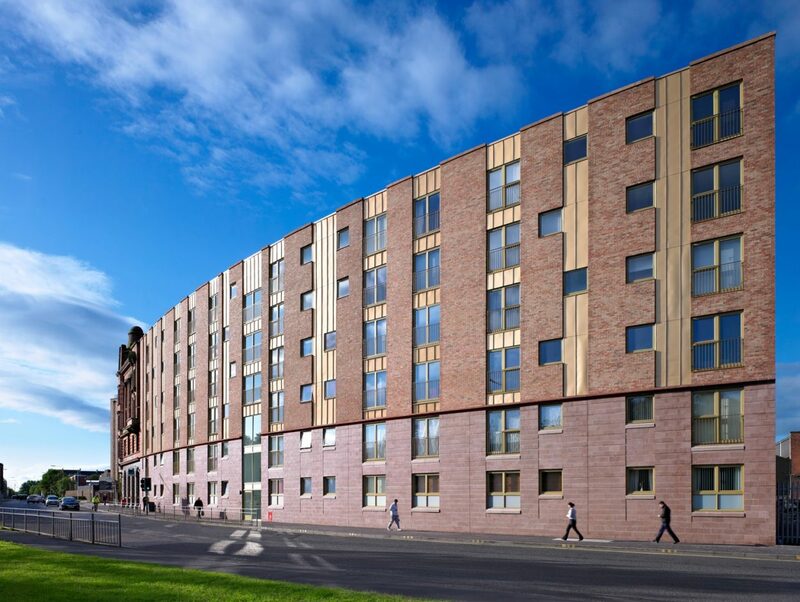 The main 6 storey Gateway block has been set back at an angle from the pavement edge to open up a vista towards the Potted Heid, in effect using the new development to define and make explicit the gateway created by the existing building. The space between the flats and the pavement contains a new, small urban square. There is a small roof garden on the top of the gateway building providing sweeping views of Glasgow. 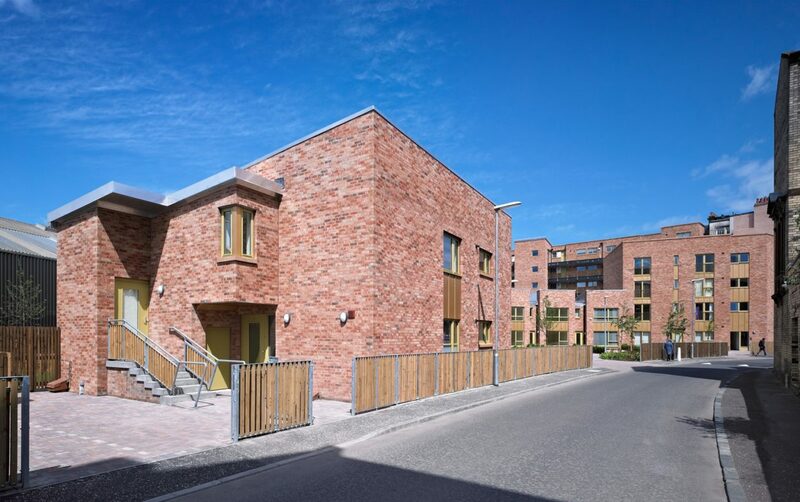 The terrace is a 5 storey structure adjoining the Potted Heid on the other side to the gateway block and sits against the pavement, following the gentle curve of this boundary edge. This building picks up the main architectural features of the tenement by carrying through string courses and parapet levels on the new facade. 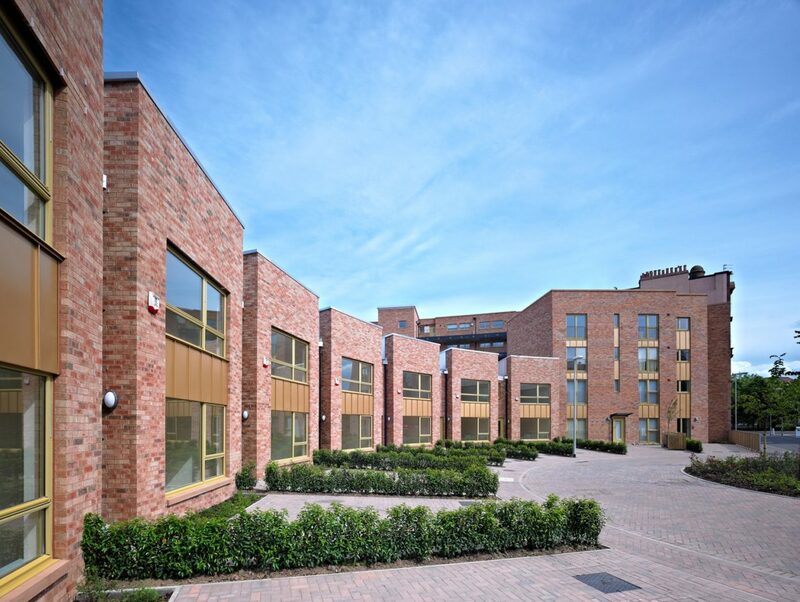 The crescent, to the south of the site, is made up 2 storey flats and terraced houses with private gardens. The materials are kept intentionally simple with a buff multi brick being used through the entire scheme. The brick was chosen as the colour and tone range is very varied and reflects the tones and colours in the Potted Heid. 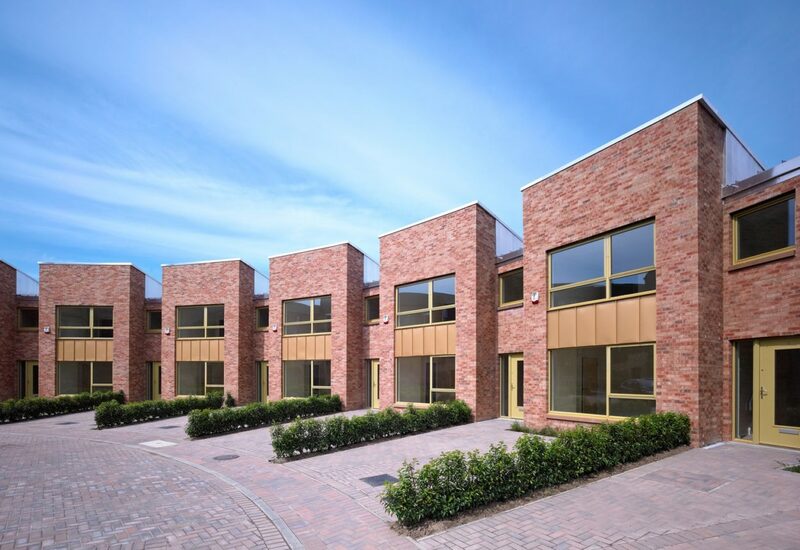 Breaking up the brick are a series of vertical cladding panels in gold, which reflect the lighter straw coloured brick on surrounding buildings. The cladding comes in rolls and is worked on site rather than preformed cladding cassettes to create a more textured uneven look, again to pick up on the textures and colours visible on the Potted Heid. The terrace block sits on a base of polished concrete block which replicates the pink granite used on the Potted Heid. Windows and french window balustrades are coloured to match the gold cladding.